Susie Linfield is the author of The Cruel Radiance: Photography and Political Violence. She teaches journalism at New York University, where she directs the Cultural Reporting and Criticism program. 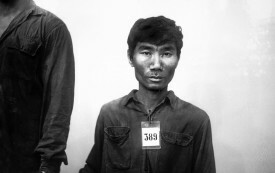 The Brooklyn Museum’s massive show of war photography is a wasted opportunity. Susie Linfield | The photographers who documented the Spanish Civil War captured the heart of battle in ways that now seem iconic but were then radically new. It's true--and a cliché--that Hollywood films hold up a mirror to American society. It's equally true--and equally a cliché--that Hollywood films fail to reflect American society.